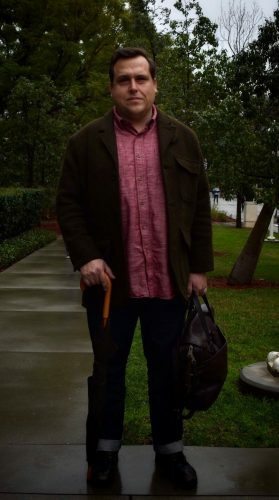 “It’s not everyday you find out you had a serial killer in the family,” said Chapman sociology professor, Ryan Langley. Photo by Claire Treu. Four years ago, Ryan Langley’s father gave him an unusual piece of information in a casual conversation: Langley’s great-grandfather, William Dale Archerd, was a serial killer. The news shocked the 40-year-old Chapman sociology professor. How had he been able to grow up oblivious to this staggering facet of his family’s history? “It’s not the kind of thing we talk about at family dinners,” Langley recalls his father saying. The discovery changed Langley’s life in three ways: it kicked off an examination of his genealogy, spurred reflection on his own professional research of criminal justice and gave him a curious new interest for “true crime,” an avid hobby of his then-girlfriend, and now, wife, Laura. Before learning about his serial killer relative, Langley had little interest in his family history. After his findings, Langley joined ancestry.com and began examining the different leaves of his family tree. The marketing of ancestry.com “attempts to sell you on this idea that once you find out about your past it will help you redefine who you are now,” Langley said. “I don’t see it as doing that for myself.” Instead, his DNA search was a hobby. This gave him a new appreciation for discussions of how people form identity – apart from what our blood tells us. And it turned out, he said, that Archerd was not a blood relation, but his step-great-grandfather. Did that make a difference? Neiswender warned Langley that researching Archerd would be disturbing. “She had cautioned me, saying: ‘As you go down this path, be careful, because he was very sinister and very dark. The more you get into this, the more you stare into the abyss, the more personal it is going to become for you,’” Langley said. 1967. 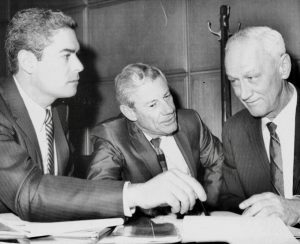 William Dale Archerd (far right) confers with his attorneys – Ira K. Reiner (far left) and Philip Erbsen (middle) – during a recess in Archerd’s trial in Los Angeles. Photo courtesy of Ryan Langley. He killed for money – killing his nephew for $2,319 in inheritance. Archerd went after intimates. He murdered his own mother, brother and a long string of wives all for the estates. He was the first American defendant convicted of using insulin as a murder weapon. A sensation in the newspapers, the case was widely reported. The dapper, well-groomed Archerd was tried for six murders, found guilty of three and sentenced to death in 1968. Some law enforcement agents suspected that he killed more, and had been killing for a least a decade before arrest, Langley said. While in prison, his sentence was commuted to life imprisonment as the Supreme Court found the death penalty “cruel and unusual.” The death penalty was reinstated in 1974, but, before he could be executed, Archerd died of pneumonia in prison in 1977 at the age of 65. He served just seven years. How does one respond when they find out a family member is an enemy of society? Langley professionalized the new information, treating his own personal history as subject of research and study. 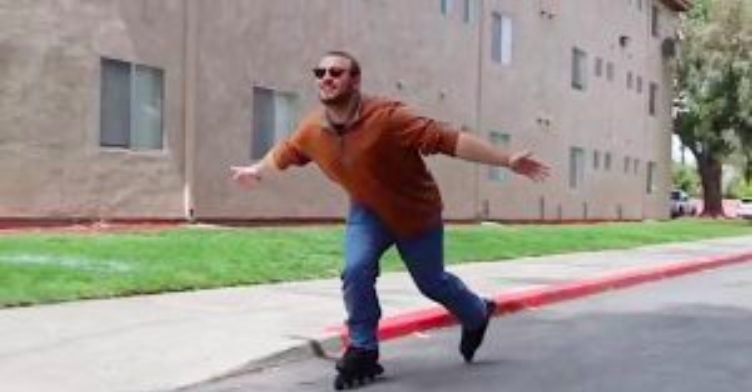 He used his discipline – sociology – as a coping mechanism. 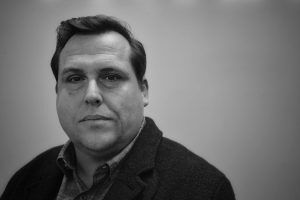 Langley has begun researching why true crime, or “misery tourism” as he calls it, is so in vogue. “Why do we enjoy the worst aspects of the human experience? The absolute worst parts of it, we just revel in, and I think it’s just fascinating,” Langley said. True crime fascination traces back to the 16th century, but in the past three years has grown in popularity, according to a 2018 study in Elon Journal of Undergraduate Research in Communications. Langley’s wife, Laura, loves true crime entertainment – “Dirty John” and “City Confidential” being a few of her favorite TV series. 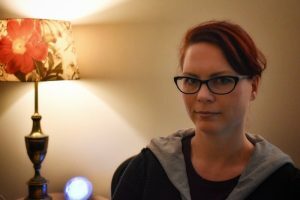 When she found out her husband was related to a serial killer, she felt like a celebrity. “‘No way! In your family! Oh my God!’ It’s like suddenly I found out I’m related to Mick Jagger,” Laura said. Langley recognized his wife’s excitement as a fandom, but still struggles to understand the appeal. “Murder feels as though it should not be something we gain enjoyment from, but it is; as long as it isn’t too ‘real,’” he said. He and Laura “are removed enough from the reality of [Archerd] and his crimes to be directly affected by them. Thus, we are in a privileged position to peer into him and my family relationship from a comfortable distance,” Langley said. Laura Langley attributes the beginning of her love for true crime to reading “Helter Skelter” during a family vacation when she was a just a little girl. Photo by Claire Treu. True crime is about the thrill. Endorphins and epinephrine flood the brain and that rouse can be inviting when you’re in an environment where you know you are safe, said Laura, a licensed marriage and family therapist. But true crime also leaves survivors in crisis. The genre raises questions of motivation and criminal subjectivity, according to a 2018 study in Crime, Media, Culture. People cannot comprehend the morbid actions of serial killers, yet they are compelled to try. “True crime can no longer be described as a ‘quasi fantasy genre’ about ‘entertainment and escapism,’” the study states. Some say an interest in horrific events is adaptive: We explore the dangers out in the world, looking for clues as to what to avoid in order to prolong our own lives and the lives of those we love. True crime offers glimpses of traumatic and distressing social realities “through exposing us to the misery of others and encouraging us to feel their pain through a stylized imaginary,” according to the 2018 study. But often the true crime show or podcast ends without resolution. After one murder story concludes, the sense of an unfinished plot leads viewers to seek out instant gratification of a new podcast or episode – created by producers who have monetized the genre. The horror is almost addicting. “A new trauma to become temporarily obsessed with in a series of never-ending loops and spirals…filling the void with a new void after the ‘comedown,’” the study states. Consuming serial killer folklore can change behaviors, leading readers, viewers and listeners to live in defense against a world filled with terrors. Some people become safety freaks, Laura explained, because an overexposure to true crime leads people to excessively fear the threat of serial killing, even though their odds of dying in this way is extremely unlikely. “Fascination with true crime requires distance,” Laura said. Langley probably has enough distance from Archerd, she added. But the effect of vicarious trauma – or the continual exposure of others’ pain – can leave scars. Like radioactive material, you never know what effects might come from submerging yourself in the worst deeds of humanity, Laura said. “Anything that drives pleasure from other people’s misery is potentially darkening of the human soul,” Langley acknowledged. 1967. Newspaper clipping of William Dale Archerd’s victims. 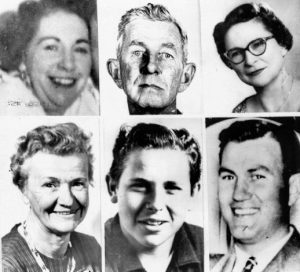 Archerd was convicted of killing: Zella Winders Archerd (top right), Mary Brinker Post Arder (lower left) and Burney Kirk Archerd (lower center). Other suspected victims: Juanita Plum Archers (upper left), Frank Steward (top center) and William Edward Jones Jr. (lower right). Photo courtesy of Ryan Langley. We glamorize serial killers in the United States. “It’s sick,” said Clinical Psychologist Jay Slosar. Noting that Americans typically refer to serial killers with three names – like William Dale Archerd. “Why would you glamorize the aggression in the murder?” Slosar asked. In some countries the name of the killer isn’t publicized, just the victims, according to Slosar, who also does forensic psychology work. For example, many elected officials in New Zealand refused to use the name of the man who entered a mosque in Christchurch in March and killed 50 worshippers. The killer sought fame for his epic hate crime, but New Zealand officials refused to give it to him, preferring to memorialize the victims. In the U.S., our fascination is less with victims than with perpetrators. The Kiwis’ response to such horror is clear: The murderer is silenced by refusing to speak his name. Langley supports not giving mass murderers the satisfaction of the publicity they seek by not naming them. But responding to mass murder “will require more imagination that attempting to undercut killers’ fame,” he added. Though serial and mass murder are not one and the same, Langley’s research has suggested his great-grandfather was not motivated by fame. Serial murder is a relatively rare event, estimated at less than one percent of all murders committed in any given year, according to a 2005 analysis by the FBI. With a homicide rate of 5.3 in 2017, you’ve got a 0.00053% chance of being a killer’s victim. But the crimes are understandably rattling. Law enforcement has capitalized on vast collection of DNA data – the same data sets that Langley joined – to locate serial killers who have long eluded capture. Joseph James DeAngelo was caught in April 2018 after genetic genealogist CeCe Moore plugged his DNA into FamilyTreeDNA.com – a public database – to find his name. DeAngelo was the suspected “Golden State Killer,” whose crimes included more than 50 rapes and 13 killings in California from 1974 to 1986. “This is really just the beginning of genetic genealogy and law enforcement,” Moore told the LA Times. We all want to find out we are related to royalty, but when uploading DNA online reveals relation to criminals, new questions arise. Langley’s father grew up liking his step-grandfather. From what Langley’s father remembered, Archerd was nice, personable, charming and well dressed. Nothing which would lead him to suspect the man was a serial killer. “I think he liked to dress up for the cameras, and he liked to be engaged by people, because he somewhat reveled in that celebrity,” Langley said. 1968. 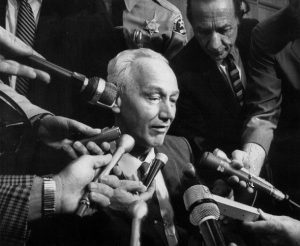 William Dale Archerd is surrounded by newsmen in Los Angeles after found guilty of murdering three relatives by insulin injection. Superior Judge Adolph Alexander heard the case without a jury. Photo courtesy of Ryan Langley. Langley is one of the few in his family who has picked up such a fascination with Archerd, he said. The young professor walks a fine line approaching older relatives – who knew his great-grandfather – with his “youthful exuberance.” There may be baggage he isn’t aware of, Langley said. Some relatives feel the story is too painful to even discuss. Langley felt some of this weight for himself when he held a print photos of the victims. “I was getting excited about the research and it became fascinating. Once it became human to me, once I saw the pictures of his victims…that pulled me down a little bit in my enthusiasm,” he said. Before, Langley had little interest in true crime or his family tree. Now, researching his ancestor’s story, he hopes to collect enough primary source information to write a book. Langley does not yet know, nor can he predict, how this new area of research might change him – but he is fascinated to find out. 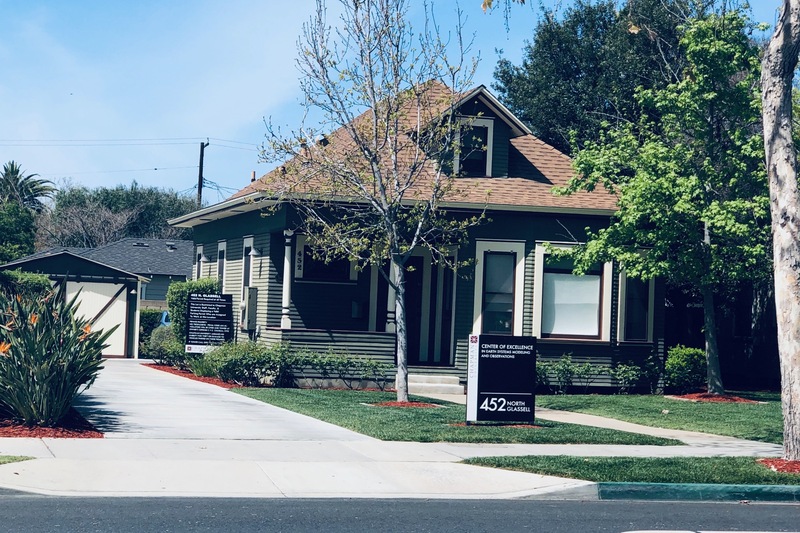 “I’m interested in how I am going to change in this research, how this is going to affect me and what my experience is as I dip a toe into that misery tourism,” said Chapman sociology professor, Ryan Langley. Photo by Claire Treu.